If you want anything, email me and LMK and I'll get it to you. Thanks! I hope you enjoy this site! I worked hard on it. Please vote for me and sign my guestbook at the bottom. I added some more fanart pieces in the Fanart section!! Thank you for the submissions!!! And a special thanks to OneMadeForHorses for the many great additions!!! I also added the award for the winning contest entry!!! Congratulations!!! I think Cardcapors is a great show and it shows determination. It is very fun to watch on how Sakura captures each Clow Card differently. Please let me know if you enjoy or dislike my site by signing the guestbook, which is at the bottom of the Home page. Thank you! Cardcaptors is an anime-style animated series following the adventures of Sakura Avalon, a 10 year-old-girl whose orderly world changes forever the day she discovers a mysterious antique book of cards in her basement. 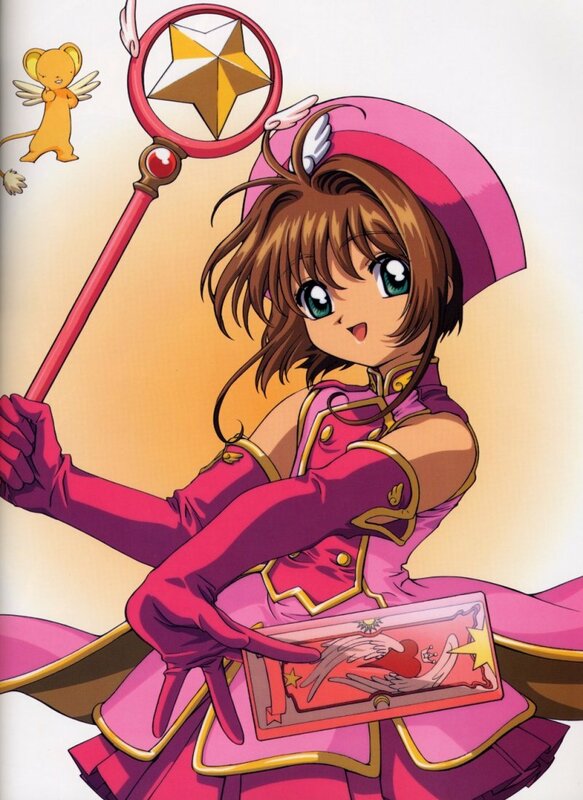 Sakura unwittingly releases the awesome power of the magical cards within the book. With the help of Kero, a small, winged creature who comes to life with the deck, Sakura must retrieve all the missing cards before they can unleash their mischief upon the world. So begins Sakura's fantastic journey into adventure. A pretty tall order for a ten year-old, but Sakura is the Cardcaptor!